Your Yoga Class purchase is valid for attendance at ANY of our Yoga classes on the regular Yoga Class Schedule at UpDog-Rochester, regardless of whichever pricing option you choose. There are no restrictions as to which classes you can attend, whether you purchase a single class, a class package, or a month - so you can mix and match and attend any classes on our schedule at any time to fit your needs. Just arrive for the scheduled class of your choice and sign-in at the Front Desk, or you can always also pre-register for classes online as a convenience, although online registration is not required. Loaner mats are always available for $1. New students are invited to experience our beautiful studio and the warm, vibrant UpDog community with your choice of either of these introductory offers. A great way to begin your Yoga journey, Everyone is welcome - Tell A Friend! Attend any Yoga classes on our regular schedule, any days of the week (excludes Kids Yoga classes which must be purchased separately). You have up to 60 days to use all 5 classes to ease into your Yoga practice and accommodate your busy schedule. Available to NEW, first-time students only. Limit one offer per person, one time only and offers cannot be combined. Must purchase in-studio, not available for purchase online. New students are invited to take advantage of a One-Month Unlimited membership for only $75. Explore our variety of instructors and classes and take as many as you want - for an entire month. Jump on this deal and tell your new Yogi friends! 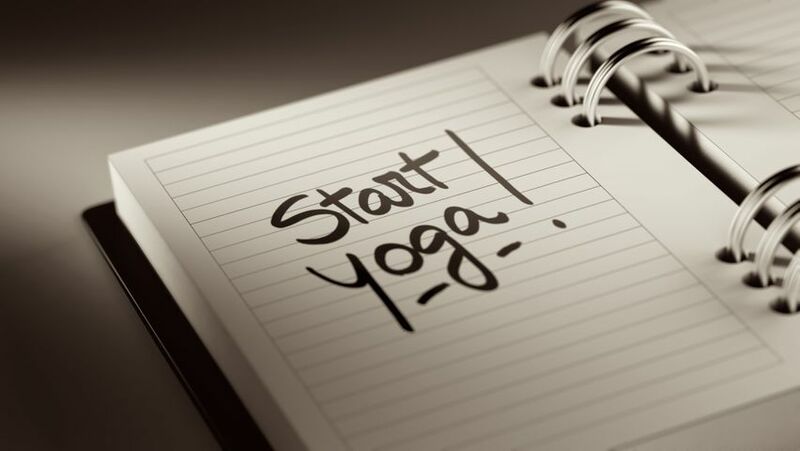 Class packages are a great way to start your Yoga practice. The larger the package you buy, the more you saves on a per class cost. 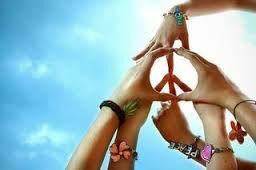 You may also choose to share the LOVE with your favorite Yogi friends and family with any of these packages. Best of all, UpDog class packs don't expire so you have plenty of time to use them at your convenience - a great option for those with busy or varying schedules. If you want the most bang for your buck, Unlimited Class options are your best bet. Attend as many classes as you like all month long...the more classes you do each month, the less each class will cost you. Start with a 1-Month Unlimited and then realize the amazing deal and jump right into our Annual Pass. It's the best way to grow your practice, and a great value for those who regularly practice at least twice per week. * Unlimited passes are valid for all Yoga classes on the regular class schedule (does not include workshops or special events). Cannot be shared or transferred to another student or family member. Best Value! Receive our lowest possible rate of $125 on Unlimited Yoga Classes with a secure monthly autopay charge billed directly to your credit card each month. Focus on your practice, enjoy more Yoga and eliminate any hassles keeping track of classes and billing cycles. Once signed up for Monthly Autopay, take as many classes as you like every month and your card on file will be automatically billed $125 on the same date monthly as verified by your credit card statement. Requires a minimum 6-month commitment term which can then be renewed at the same low rate, or cancelled without penalty. * Monthly Autopay is subject to an $80 service fee for early cancellation prior to the 6-month commitment term. $20 drop-in fee for those visiting from out-of-town, or who would like to attend a single Yoga class from your choice of any of our classes on the regular class schedule. *Registered guests of the Royal Park Hotel in downtown Rochester receive a 50% discount and may attend a single yoga class for only $10 during your stay by presenting your room key FOB at UpDog. $5 drop-in fee to attend one of our weekly Chair Yoga sessions (*drop-in fee only applies to new students or non-members who are not current class pack holders). A weekly Chair Yoga session to ease into a mindful Yoga practice that can bring increased strength, flexibility and mobility into your life! Chair Yoga is a modified, gentle form of Hatha Yoga that is practiced sitting on a chair, or standing using a chair for support. Almost any traditional Yoga pose or move can be replicated and altered to accommodate Chair Yoga, and it is one of the gentlest forms of Yoga available as it invites you to find mobility in a way that is soft and gentle but also supportive and beneficial. An ideal exercise for people who have trouble moving through the up and down motions of traditional Yoga because Chair Yoga allows you to stay stabilized. $5 drop-in fee to attend one of our weekly Guided Meditation sessions (*drop-in fee only applies to new students or non-members who are not current class pack holders). Join us for a relaxing, evening meditation as we gather as a group to create balance at the mid-point of each week. 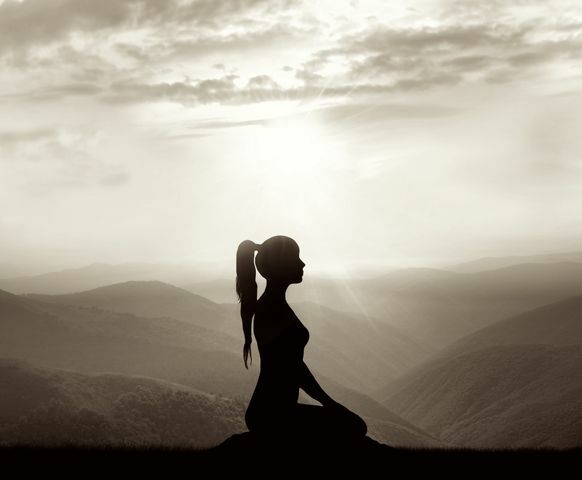 Jill will lead a casual guided meditation using a variety of simple, mindfulness meditation techniques which will vary weekly. No meditation experience necessary. These sessions are ideal for beginners to introduce meditation with the support of a friendly, informal group. Everyone Welcome! 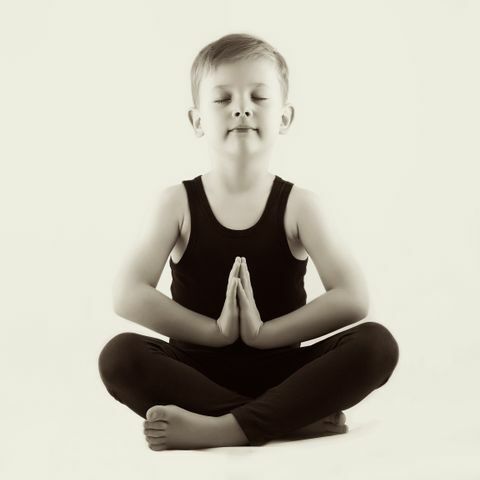 Kids Yoga Classes are appropriate for boys and girls of all ages 5 and up. No prior Yoga experience required. Yoga teaches kids how to relax, develop body awareness, find their inner balance, build confidence, concentration and just have some fun. We'll workshop with the kids in yoga poses, mindful breathing, play yoga-themed games and quiet meditation. Kids Yoga classes are led by an UpDog instructor and are held In either UpDog Studio or the Friendship Factory (our neighbor on the 1st floor), for even more fun in a kid-friendly atmosphere! The Saturday Kids Class is held at the same exact time as the regular adult class so that the kids have their own space, and parents you can have yours too by attending an adult class - so the whole family gets their Yoga! Just like our regular UpDog class packs, Kids classes never expire and can be used on any of our Kids Yoga classes on the regular schedule anytime. * Kids class packs may be used for Kids Yoga classes ONLY and cannot be redeemed on regular Yoga classes. * Older children ages 9 years of age and up are welcome to attend the adult classes on the regular class schedule when accompanied by an adult and with purchase of a regular adult class package. Earn a FREE Month of Unlimited Yoga! Practice Yoga at UpDog by taking any of our classes once per day for 21 days in a row to receive a FREE Month of Unlimited Yoga as your reward. Open to everyone. To participate, all you need to do is maintain a regular Yoga practice at UpDog for 21 days in a row by taking any of our Yoga classes once a day, everyday for 3 weeks. You can start your 21 days at any time. Just let us know at the Front Desk whenever you’re ready to start, and we'll keep track for you based on your daily class sign-ins. If you do miss a day, you can make it up by taking two classes the next day. If you rise to the Challenge and complete all 21 days, you'll reap the benefits of better health AND your next month of Yoga at UpDog is FREE! * Must have a current, active Unlimited Pass package to participate in 21-Day Yoga Challenge. Limit one FREE Month Unlimited per person, one time only, for completing Challenge. Present valid identification at the Front Desk when making a purchase to receive the discount anytime. Just present your employee ID card or valid identification at the Front Desk when making a purchase anytime to receive the discount. * Cannot be combined with any other offers or discounts. Not available for the 5 Classes for $15, 3-Month Summer Pass or New Student 1-Month Unlimited Packages. Discount does not apply to workshops, merchandise, appointments or special events - Yoga classes only. Discounted classes cannot be shared with another student/family member (one per person). Post-graduates of any of our Teacher Training Programs at the UpDog School For Yoga (RYT200, RYT500, Thai Yoga Therapists) receive 50% off any of our Unlimited Class Pass options for a LIFETIME - proving it pays to be an UpDogian! Inquire at Front Desk for details. * Unlimited package options only; excludes class packs and 3-Month Summer Pass. Cannot be combined with any other offers or discounts. Looking for a more personalized setting for your Yoga practice? Updog offers private and semi-private options for our students. Whether you are looking for one-on-one attention, have a special physical need, or simply want a small class setting, we can accommodate your request. Private Yoga Classes start at $80 per hour. Semi-privates for two are $100 per hour. We also offer rental of our studio space for larger groups when our regular classes are not in session and can provide our instructors to teach your group based on their particular interests. Pricing is based on needs and size of the group. Whether family, friends, work group, school, seniors or social groups, give us a call and we will make it work for you! Call 248-608-6668 or email info@updogyoga.com for more info and to set-up your session. First Class Free or 5 Classes for $15 offers are available to new students residing in Oakland, Macomb, Wayne, Lapeer and St. Clair counties only; not valid during Christmas, Winter or Spring Breaks. Not valid for Kid's classes. All class packages and unlimited memberships are non-refundable/non-transferable. Workshops are additional cost. Pre-paid registrations for workshops are non-refundable. Check Front Desk and Workshops page of our website for details and schedule.